The place to fill our stomach with beef steak ! 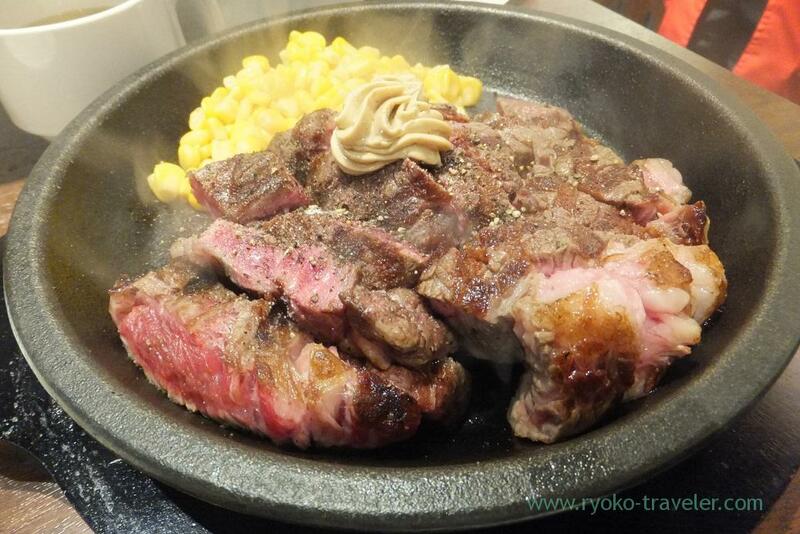 When I feel like eating beefmeat during work, I go to Ikinari steak Harumi toriton branch so often. 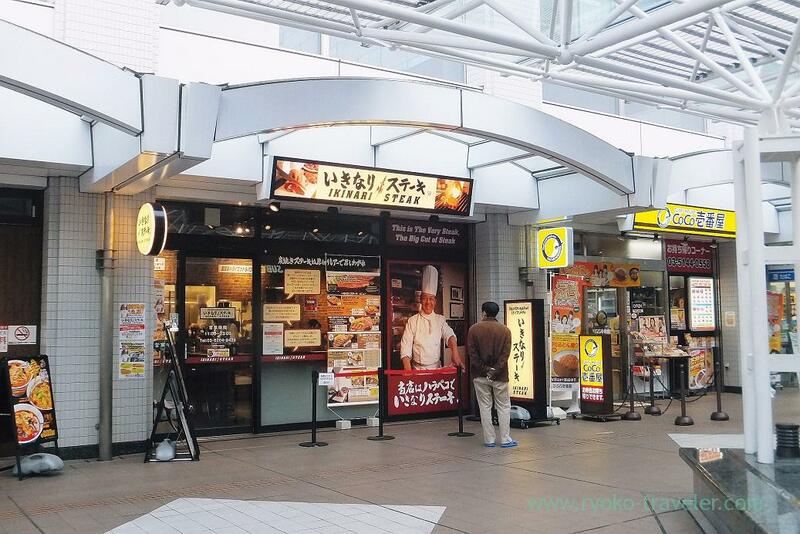 Many branches of Ikinari steak are open around Tokyo area and we can enjoy thick beef steak at anytime, at anywhere. Lunch menus only for weekdays (10:00 – 15:00). 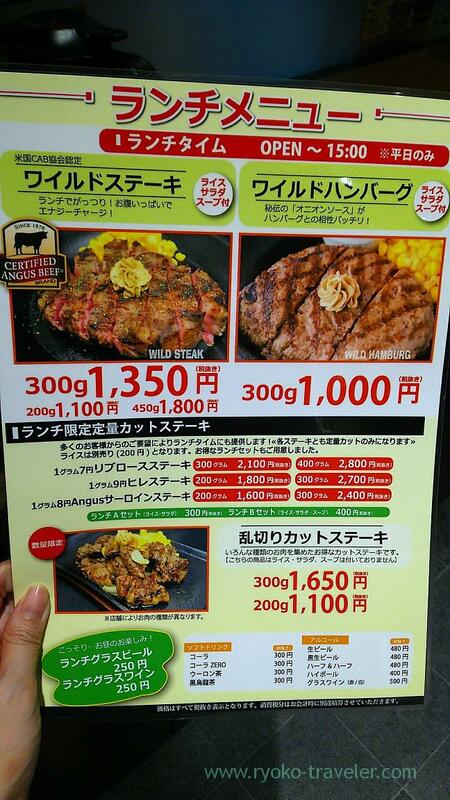 “Wild steak” and “Wild hamburger steak”. Those prices rose last month or the beginning of this month. As same as many branches, there’s no seats in the restaurant. Stand-up-eating steak restaurant. They give paper apron to us. This is 300g of wild steak (ワイルドステーキ３００ｇ, 1350 yen). Oil splashes all over the range, so we need paper apron and have to keep portable phone away from the table. 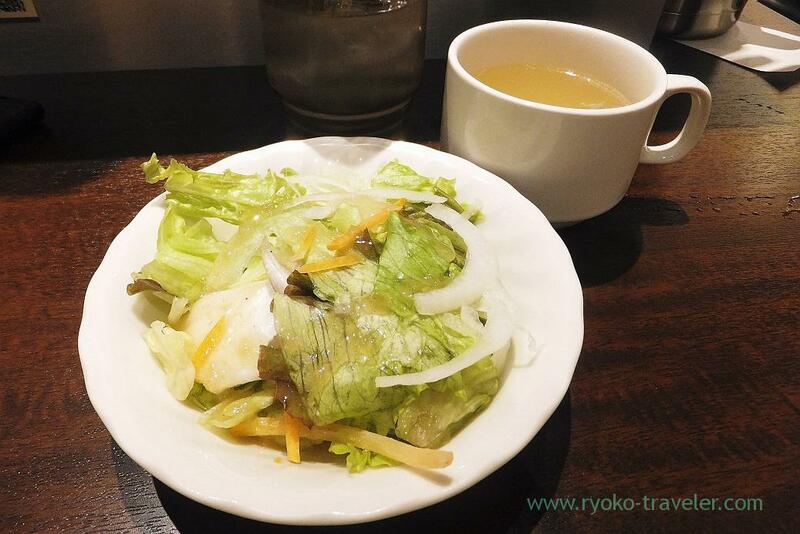 Wild steak and wild hamburger steak have soup and salads. Wild steak and wild hamburger steak can be eaten during another time, too. It’s 1350 yen. But it don’t have rice, soup and salads.